The FAA has published minimum vectoring altitude and minimum IFR altitude charts on its website, here (scroll to the bottom of the page for the links to each category). The charts are PDFs, sorted alphabetically by facility. FAA has published the latest list of 736 VOR and NDB approaches that it wants to cancel. You can download a Microsoft Excel worksheet that includes all of the procedures here. This action proposes to remove certain redundant or underutilized ground-based non-directional beacon and very high frequency, omnidirectional radio range Standard Instrument Approach Procedures based on the criteria established by the FAA’s Policy for Discontinuance of Certain Instrument Approach Procedures. On June 27, 2014, the FAA published a policy establishing criteria for cancelling instrument approach procedures (79 FR 36576). Cancelling certain ground-based non-directional beacon (NDB), and very high frequency (VHF), omnidirectional radio range (VOR) SIAPs is one integral part of right-sizing the quantity and type of procedures in the National Airspace System (NAS). As new technology facilitates the introduction of area navigation (RNAV) instrument approach procedures, the number of procedures available in the National Airspace System has nearly doubled over the past decade. The complexity and cost to the FAA of maintaining the existing ground based navigational infrastructure while expanding the new RNAV capability is not sustainable. Therefore, the FAA is proposing the following list of SIAPs for cancellation based on the criteria established in the Policy. The proposal is open for comments until May 28, 2015. You can find details about the current inventory of instrument approaches and related procedures at the Instrument Flight Procedures (IFP) Inventory Summary website. To learn more about specific procedures and procedures in development, visit the Instrument Flight Procedures Information Gateway. ForeFlight, the most popular aviation app for the iOS phones and tablets, includes a handy ScratchPad feature, described in this post at the ForeFlight blog. A video that shows the feature in more detail is also available at YouTube. I experimented with the ScratchPad the other day as I flew with an IFR customer. It’s a handy feature, with built-templates, but I quickly found that using my stubby index finger to scribble clearances and ATIS data didn’t work well. It was hard to write quickly and clearly. Off to Amazon I went in search of a stylus designed for iOS devices. After a quick search and scan of customer reviews, I settled on the Bargains Depot pack of two styluses (with six replacement tips), for $5.99. Many other options are available at Amazon, generally at prices well below $10 for packs of 2-5 styluses. 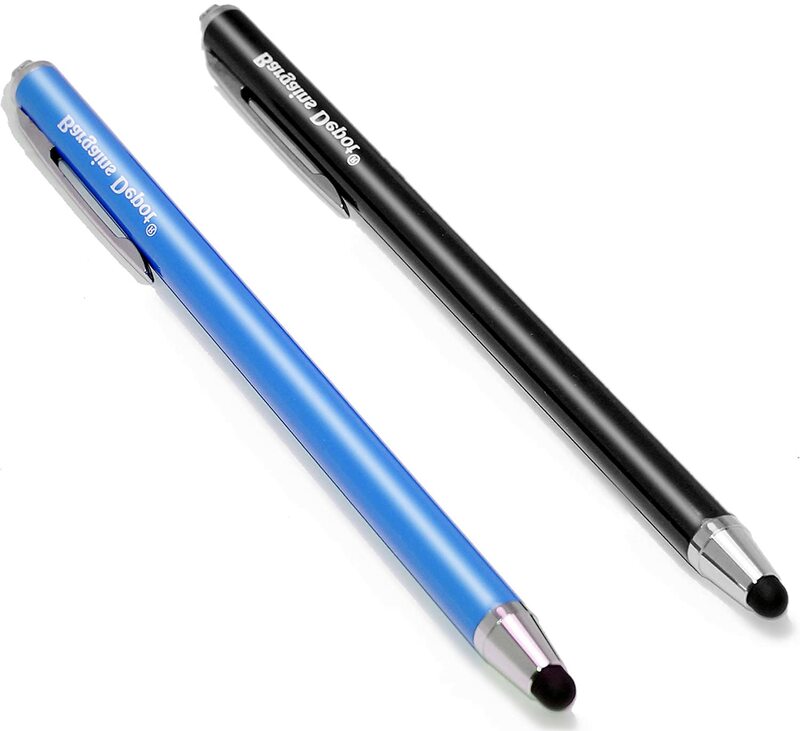 I’ve now tested these tablet-pens with ForeFlight and other apps, and I’m pleased. The tips are soft enough not to damage the screen, but they also make writing on the tablet seem natural. They also work well as pointing devices when you need to tap on a menu or the map, scroll, or close a window. If you use a tablet or smartphone in the cockpit, I recommend that you keep at least a couple of styluses handy. They’ll never run out of ink.